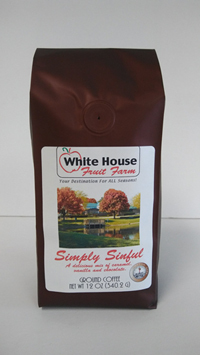 We have a wide range of packaging options, including retail products like 12oz to 5lb bags and single serve. 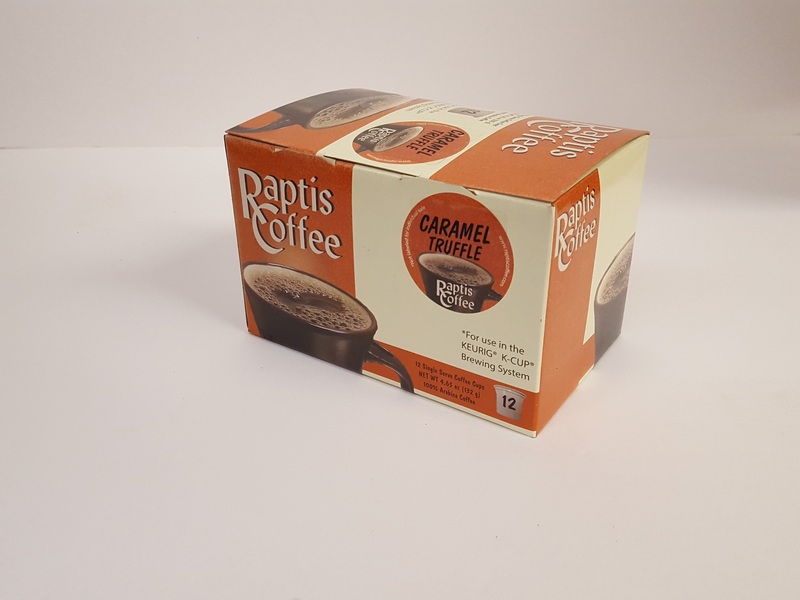 We can do frac-packs or portion packs that are used for Office Coffee Services(OCS). 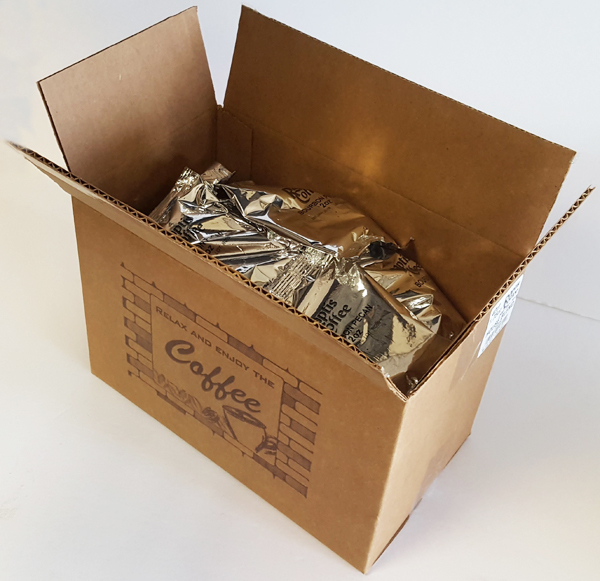 We can pack in bulk for use in OCS, cafes, or for you to pack your own products. We have instant coffee available in bulk as well. 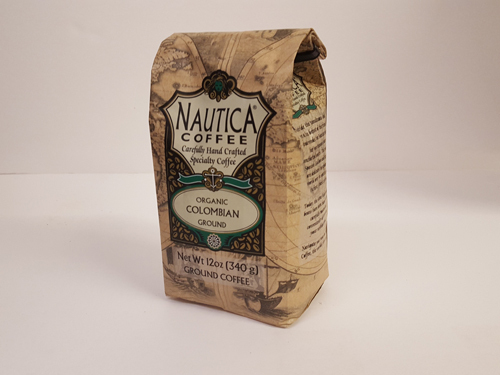 If you don't already have your own packaging, or are looking for very low minimums, you can start with a stock single color bag with a front and back label. If you want to take your packaging a step further, we can package fully printed bags. We can still package low minimums, though the companies that make the bags usually require orders of at least a few thousand. All of our bags will come with a tin tie or recloseable tape, and a 1-way air valve for freshness. Frac-paks or portion packs are single use bags intended to make one pot. With our vertical form, fill, and seal machines, we are able to produce multiple pallets a day. We try to keep our minimums low, but there is a lot of waste if we make just one case, so we like to start private label products at 10 cases for each blend or flavor. For smaller runs, we have a stock silver film and we can print a simple image or text directly to the bag. The print is monochrome and limited to 200 dpi. If you have your own film printed, we can package that for you. We can print on your film for the blend name and date codes, bar codes, descriptions, ect. We can use film with registration marks, or "random repeat". We can also Nitrogen flush the bags to extend the shelf life. We offer single serve coffee, and specialize in low minimums. You can get a plain kraft or white box (12 count), and design a label for the front. We also include a side label with a bar code, best buy dates, lot numbers ect. Printed lids are also available, minimums on those are 25,000-50,000 lids. depending on your design. 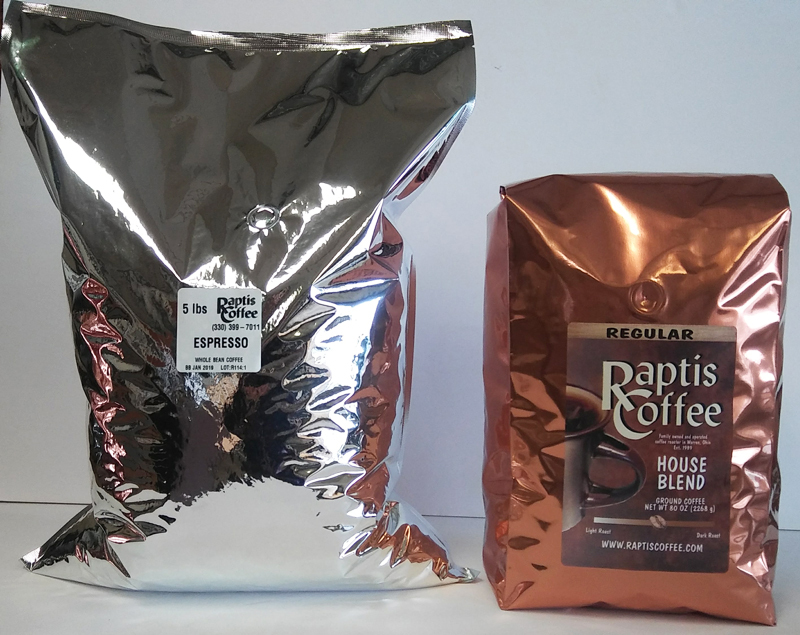 Bulk coffee comes in two different types of packages, and are usually 5lb bags. 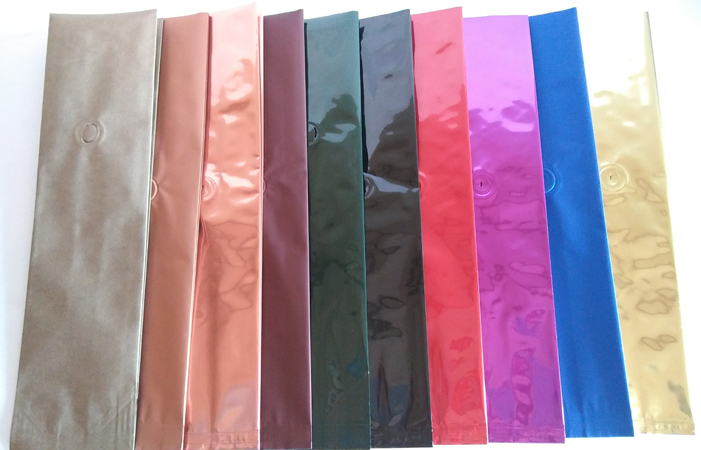 We have a retail bag, (stock bag is copper, though other colors are available), and we can apply a full color label. This is good for bulk grocery locations, or online stores. A second option for bulk is a pillow pouch style bag. This is geared more toward OCS services or cafes. It's a plain silver bag with a white 2-inch label on the front. This is a little more cost effective and can ship a little easier. This is great if you need to fill hoppers on automatic machines, or buy the coffee from us to package yourself.